Maxwell has had a great weekend and is looking forward to this week. A few weeks ago I treated myself to a mini fitness trampoline. If I am honest I have not really got round to using it, the usual excuse of my life being to busy. Although I have not got to use the trampoline, a certain little boy has been using it a lot. 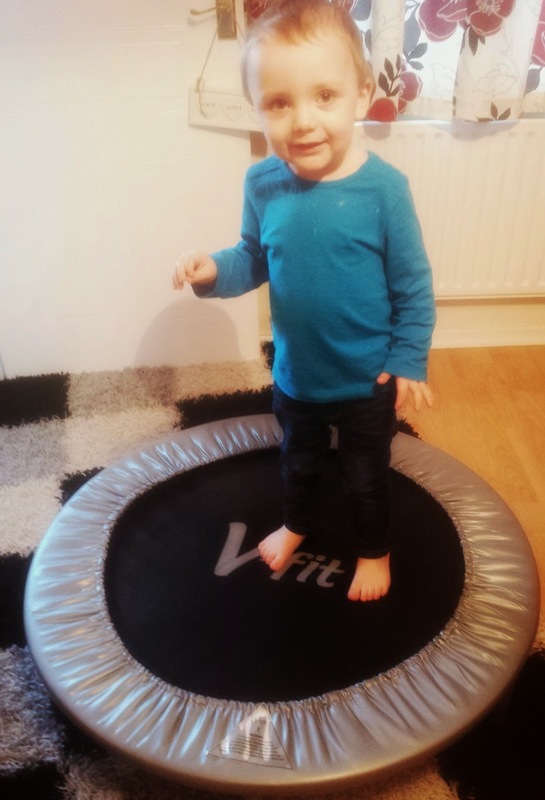 This week Maxwell requested for the trampoline to be moved into the lounge from the cold conservatory, as I have been getting on with work this week I decided to moved the trampoline from the conservatory into the living room and have allowed Maxwell to bounce away on it. Maxwell had a fabulous time and I am sure we will have many more fabulous times using it. Maxwell seems to love spending time at home, especially in the half term holidays. Maxwell and I seem to get up to lots of adventures, we also seem to end up making lots of crafts, play with lots of toys and we even enjoy singing and dancing round our house however Maxwell also loves going to preschool. Maxwell went back last week and it was clear to see that he had a great time. I often worry that the week he has off will ruin his routine however this is never the case. In January Maxwell will be going to preschool a lot more, I have no worries about how this will affect him. It is not far away from Maxwell's 3rd Birthday and Christmas and Maxwell seems very excited by it. All Maxwell's present have been purchased as well as wrapped and he has a lot to look forward to opening. More importantly Maxwell is looking forward to visiting Santa this year. We are looking around at the present moment to find the best place to vist and take him to see Santa. Last year we visited Longdown Dairy Farm in the New Forest and we are thinking about going there again this year. 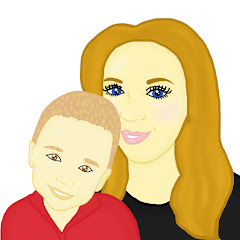 I seem to write about Maxwell's speech every week however from being a worried mummy who often could not sleep due to the lack of speech that her child was doing, the tables have now turned. Not only is Maxwell repeating words, he is also trying to string words together. Some of the sayings that Maxwell has been saying this week are: Maxxy is 2 and The _____ is stuck. I can not believe how well Maxwell's speech is starting to develop, although not all of his speech is clear it is amazing to see the difference in such a short space of time. This week Ben has the week off which means we get to spend a lot of time together as a family. Maxwell loves it when his Daddy is home. It will be great fun to take Maxwell to lots of places this week and to visit our family also. Maxwell is looking forward to going out this week for lunch. What a great week for Maxwell, he is coming on well. I can't believe he is nearly 3 - how time has gone fast! He looks like he his having fun and getting fit. 3 years old soon, whoop!